Stewardship is taking care of what you own to extend its usefulness. What is your plan to keep expenses low? 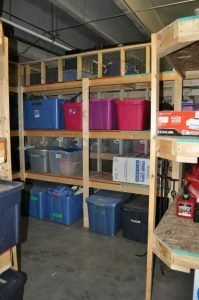 Start with decluttering! Do you have a hard time keeping track of resources and wonder if you are wasting them? Are supplies in order so both volunteers and staff can find and use them? Do you find sharing space to be difficult? It’s all about staying organized! What does With Time to Spare offer non-profits? The day begins with a 2 hour seminar where attendees learn the how-to’s of workplace organization, then they return to their offices to implement the changes. 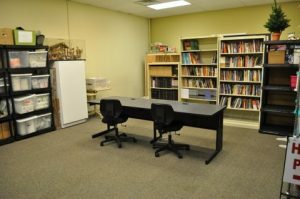 Following the seminar and throughout the day, I rotate between attendees, providing individual assistance and accountability to organize their workspace or shared space. We will address specific concerns each person has and work through them with unique solutions. Through this option, each participant will learn what to do with each new piece of information, understand how to improve work flow, achieve more productivity and worry less. These actual non-profit professional organizing transformation stories reflect common obstacles that each of us face. These projects were all completed in one day with the cooperative effort of the trainer and the individual. His files were messy and rumpled. The torn and battered manila folders stuffed into his hanging files made me understand why he believed that. “Thirty seconds or less should be the standard for accessing working documents,” I explained. 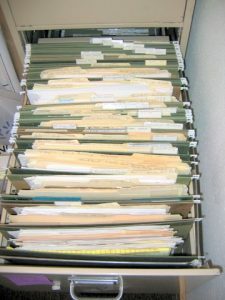 The manila folders were a big problem. It was no wonder he couldn’t find anything when he couldn’t read the tabs. So, we eliminated them and relabeled the hanging files. 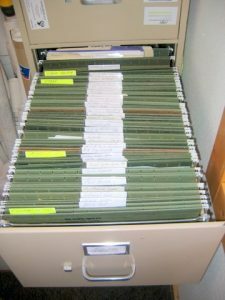 He can now see every file, and not only is he saving space, he is saving money by not replacing those manila folders that weren’t working to begin with. THE RESULT: He can now find any file in less than 30 seconds! 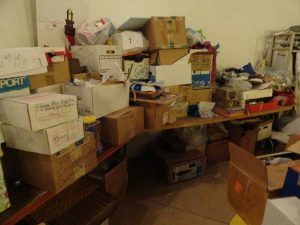 A church had been using their church balcony as a storage unit and it reached its maximum, 25 years in the making. 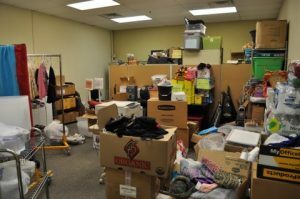 It was anyone’s guess how many items were stored there- everything from church decorations and holiday supplies, VBS and theater props to office supplies and defunct equipment. 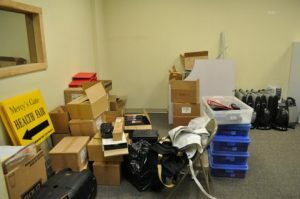 We recruited help from a number of people and began removing items and sorting them. This took most of the day, but many hands makes light work, so we continued and inventoried the items and discussed ways to categorize them. 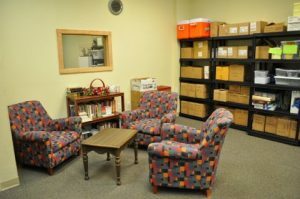 We reorganized items by placing them into fresh, well-marked boxes and placed them on accessible shelves rather than on and under tables. 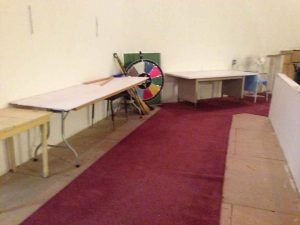 THE RESULT: We were able to eliminate a dumpster of trash, recapture space and free up the balcony for church attendance! My whole way of thinking and living has been changed! The five tips you recommended for organizing a desk were fantastic and I am using them. I truly have time to spare and I love it and I feel so together! I see the surface of my desk! Great system to get organized! I thought the whole exercise was great. A real stress reliever. I can finally find my desk top. 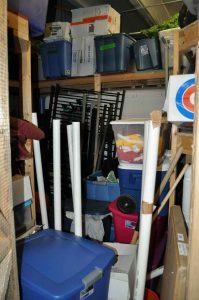 I must admit that, at the outset, I was quite skeptical as I knew your program would never work for me- I had been dealing with clutter for more than 20 years and I knew that this would never change. Was I ever wrong! Your practical advice and hands-on method of training have changed my office and my life! I thoroughly enjoy working at my clutter-free desk, in my clutter-free office.